“I’m just going to make surfboards and see where that takes me. Go back to being in 1980 again when it was just a guy doing what he loves to do." Lifetime foam mower, album cover & logo designer, fashionista, family man, surfer, studio owner. Mr.Stüssy has worn many caps during his lifetime, and has done away with only a few of them. You might be familiar with this iconic apparel brand Shawn co-created. you've definitely seen people donning some threads with his tag. Or been one of those yourself. But you've most likely never seen or held one of his elusive handshaped surfboards. and recently deemed us worthy enough to let some of his shaping magic flow through the shop. We still can't quite believe it ourselves. Or read some more below and then go check his boards... it's your call really. But seriously, go and see his boards. Yes indeed, a urban surf shop in Tokyo(!) 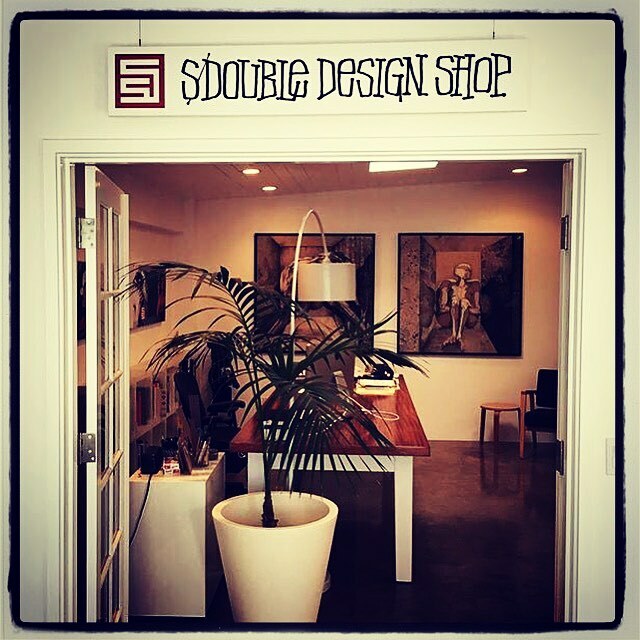 for Shawn's latest project - S/Double design studio - is one of his creative outlets. We can relate. I’d rather just grow my food and go surfing til I’m 65. * if/once his business activities start getting in the way of more important things that is. Currently Mr.Stüssy is only letting himself get pushed around by the commercial success of his creative endeavours in a more moderate way. Words like 'job', 'must' or 'have to' don't come into play. It's all just life and creative drive. He's - in his humble words - his own worst enemy. Trying to walk the fine line between family life and engaging, shaping & designing stuff. go see for yourself. now.